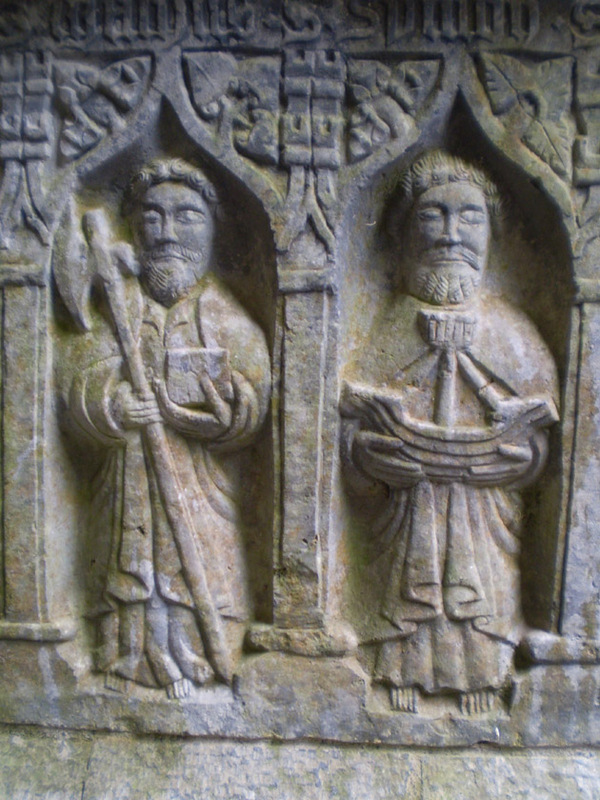 Below are two saints from a 13th century tomb decoration from the incredible Rock of Cashel in County Tipperary. 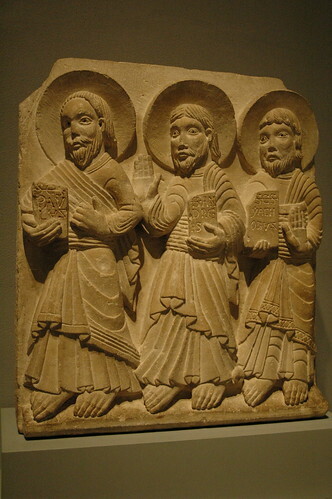 Compare the saints above with their curly beard and symmetric folded robes to the three more flat and sharp medieval saints below (Photo by jondresner on Flickr). 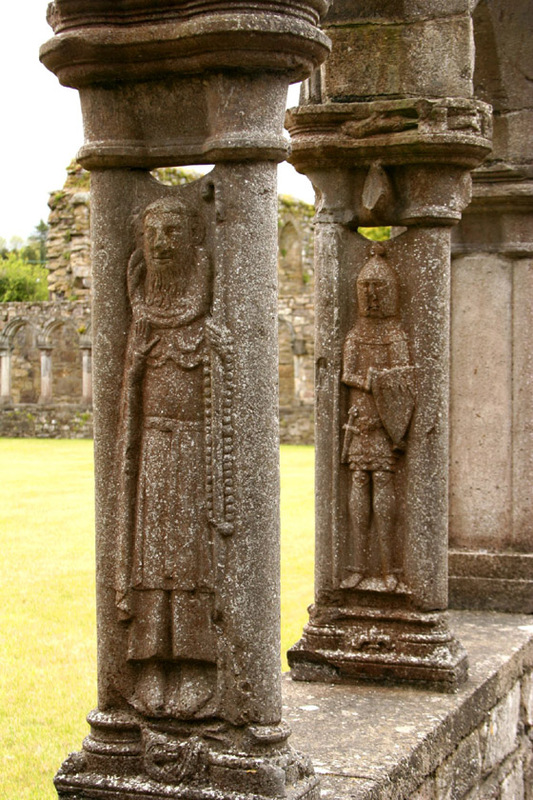 The time period of these two carvings seems comparable to me but the Irish treatment is more fluid. 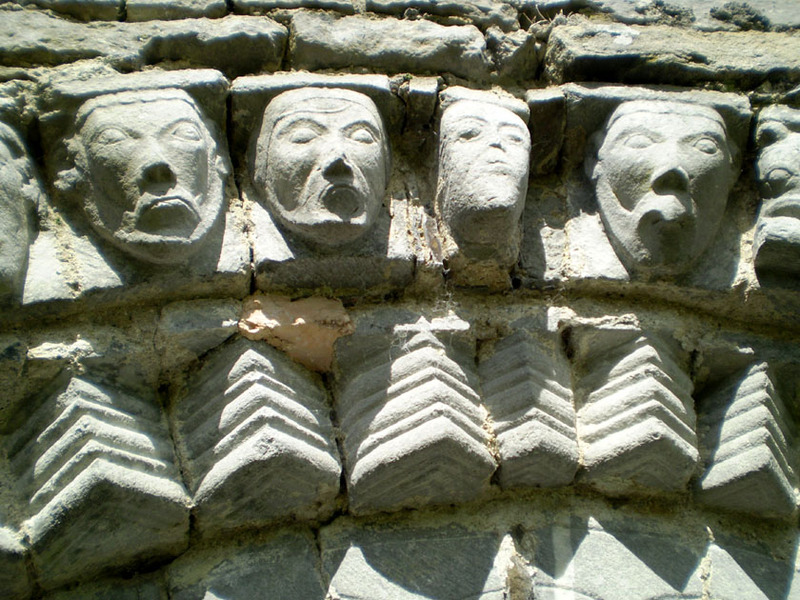 Eventually this type of carving would evolve into these more voluminous late Gothic,French figures from Arran’s blog. Hi Christina, first of all, I love your piece above. Thank you also for the acknowledgment of, and link to my blog/post. 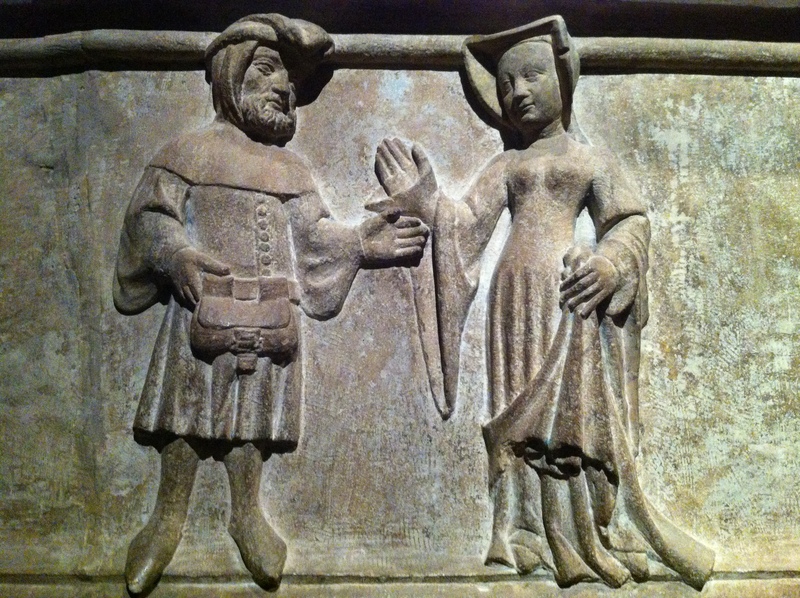 I love medieval sculpture so really did enjoy your piece above. I think the comparisons and the points you make are very interesting & worthwhile. For that reason, might it work even better if you inserted the 2 other illustrations directly into your post (?) You are certainly welcome to use my photo if you wish. It would stil be lovely to get a mention & a link, but you’re very welcome to use the photo directly. It would help your readers follow the points & comparisons you make without site-hoping, so to speak. Either way, regardless what you decide, well done on a pithy & fascinating piece of commentary, it was much enjoyed. You know, I don’t think I’ve ever actually seen those Kilkenny figures in the flesh, they’re absolutely wonderful. 🙂 Best regards- Arran. 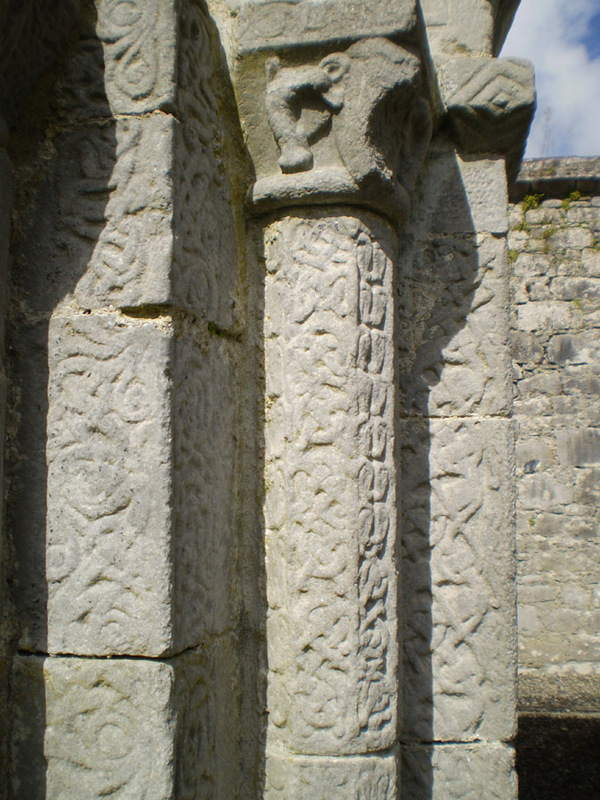 I like the Jerpoint Abbey stone carvings as well. They are quite unique with their facial images. I really like this post — great images! (I like the Dysert O’Dea doorway so much that it’s the header for blog!) 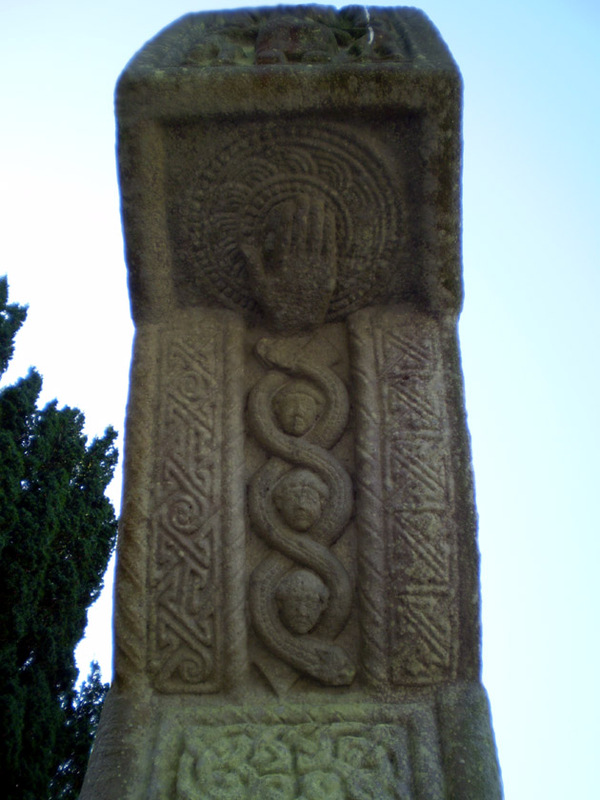 I keep wanting to write about these sculptures and carvings but haven’t been sure how to go about it. While I would agree that a lot of them aren’t very ornate, I was very struck by the patterns when I was there few years ago. Thanks for bringing it all together! Thanks Karen! 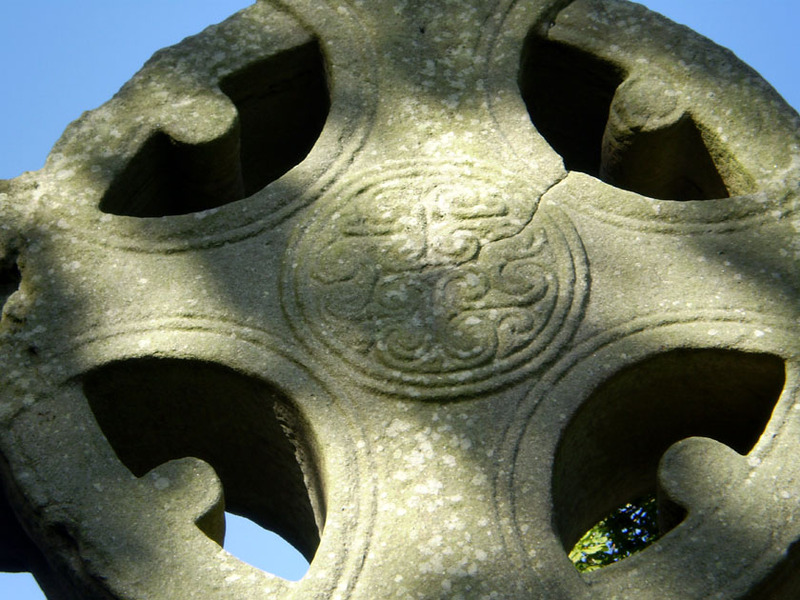 I am always draw to powerful but minimal decorative patterns and Ireland had lots of lovely, artistic touches.